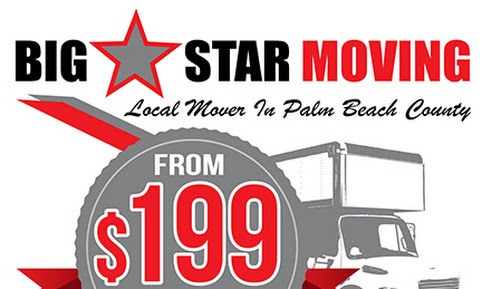 Big Star Moving - West Palm Beach Moving companies from $199 movers: Boca Raton Moving Companies from $199, call 561-615-9889 - Local Movers - We area local branch of Big Star Services Inc. dba Big Star Moving companies, fully insured and Licensed LIC#IM459. We offer affordable and reliable local movers providing local moving services starting from $199 for the Greenacres area, Lake Worth, West Palm Beach, Boca Raton, Royal Palm Beach, Jupiter, Royal, Palm Beach Gardens, Boynton Beach, Delray, beach and Boca Raton area. 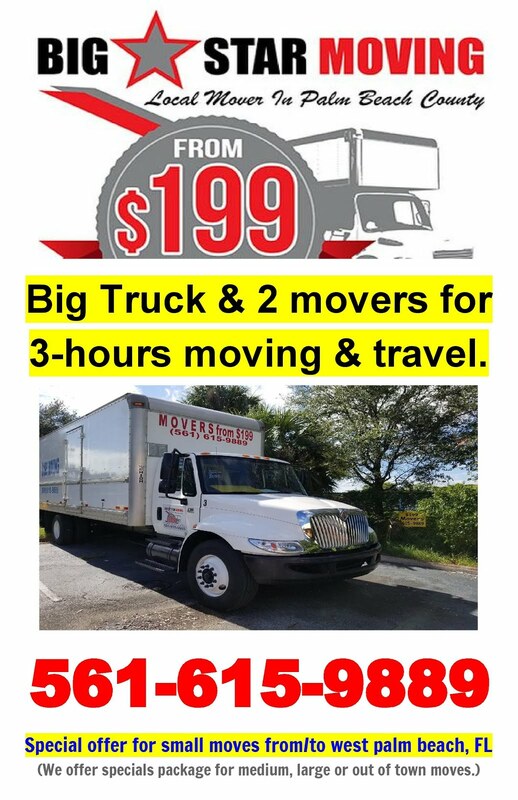 Boca Raton Moving Companies from $199, call 561-615-9889 - Local Movers - We area local branch of Big Star Services Inc. dba Big Star Moving companies, fully insured and Licensed LIC#IM459. We offer affordable and reliable local movers providing local moving services starting from $199 for the Greenacres area, Lake Worth, West Palm Beach, Boca Raton, Royal Palm Beach, Jupiter, Royal, Palm Beach Gardens, Boynton Beach, Delray, beach and Boca Raton area.